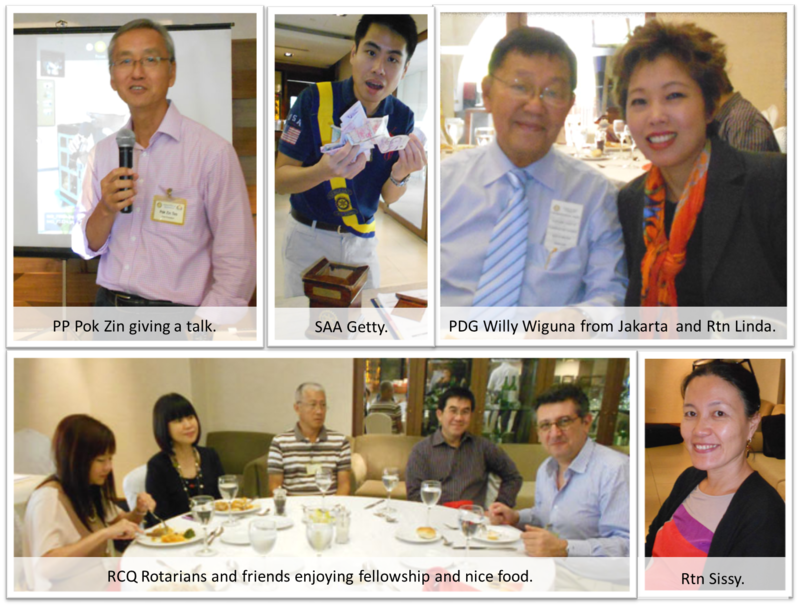 PP Teo Pok Zin was the special speaker of the lunch meeting held on 23 April 2012. He gave a talk on TCRP’s current project in the Philippines which focuses on Human Trafficking (women & children). Furthermore, he provided information on the organization “Visayan Forum Foundation Inc.” whose efforts TCRP is currently supporting by its fund raising project. This week’s Sunshine Collection goes towards TCRP’s fund raising project.